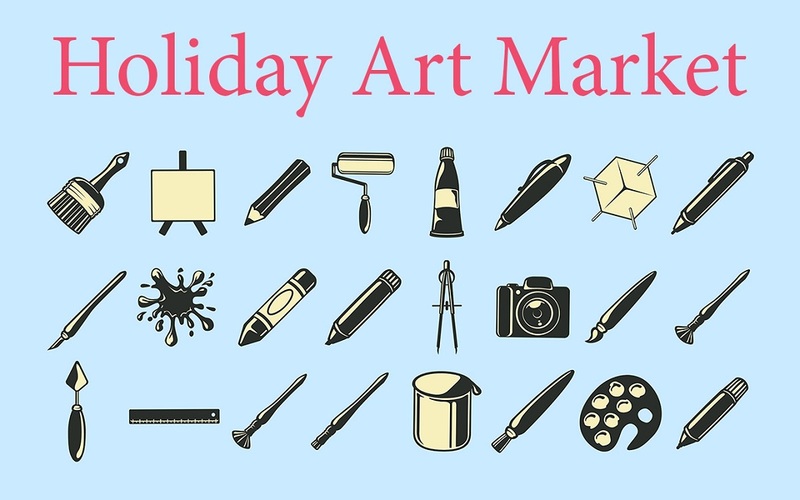 CPCC Art Galleries will host the fourth annual Holiday Art Market (formerly Friends and Family Market) to raise funds for educational programming. The fourth annual Holiday Art Market fundraiser gives CPCC alumni, students, faculty and staff the opportunity to sell their artwork for under $250. Event proceeds support CPCC’s Art Gallery educational programming, as well as the college’s Visual Arts Club. This is a wonderful opportunity to collect affordable, original art by prominent Charlotte artists or to find that perfect, one-of-a-kind holiday gift! Monday – Thursday, 10 a.m. – 2 p.m.
Saturday, November 4 and 11, noon – 6 p.m.
Thursday, November 2, 2017 from 5 – 7 p.m. This entry was posted in Uncategorized and tagged Holiday Art mArket by Mallory Benz. Bookmark the permalink.